While hiking the trail is great fun, many people find that maintaining it is even more fun. Throughout the season we also install and repair bridges and fence crossings. 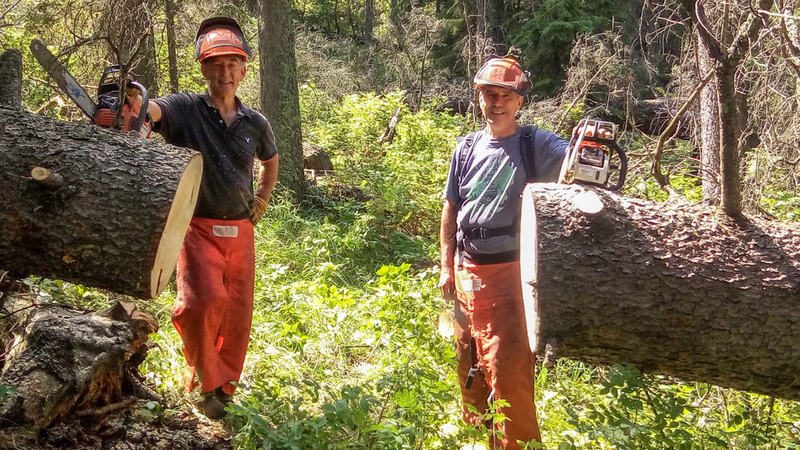 The tools we use are chain saws, mowers, weed eaters, clippers, hammers, and small hand tools. We provide the safety gear, training and orientation. All volunteers are covered by Workers Compensation. 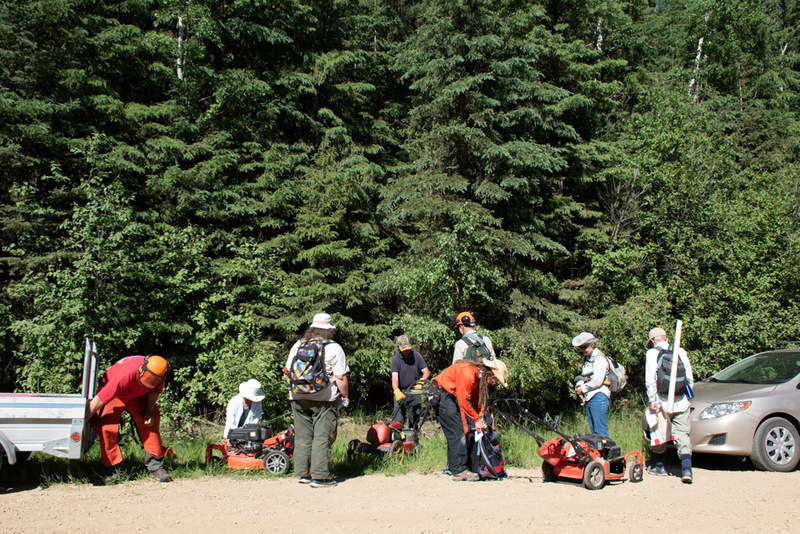 In 2015 a trail maintenance work party was visited and interviewed by Radio Canada. 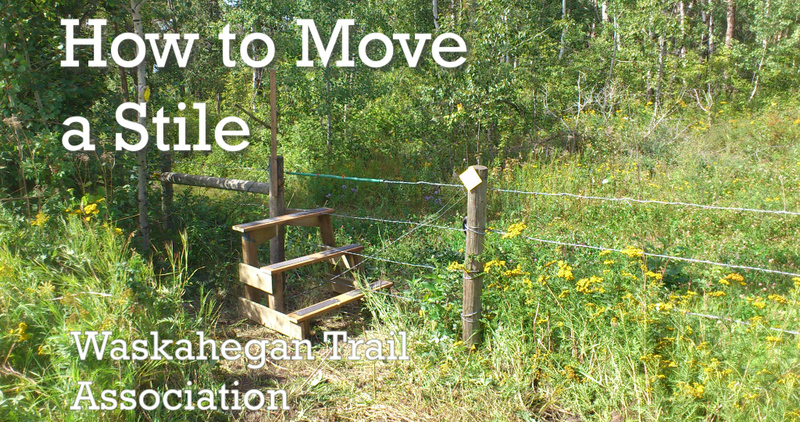 Check out our instructional video on how to move a stile. Work parties are typically scheduled for Wednesdays, Saturdays, and occasionally other days. View the schedule of upcoming work parties. We meet inside the McDonalds restaurant on 82 Ave and 75 St around 8:45 a.m. while the organizers are loading equipment at the garage nearby. Once the organizers and equipment arrive, around 9 a.m., we carpool to the trail head. Work usually continues until late afternoon. Then we buy you coffee. The more people who come out, the lighter the work. Are you in reasonable physical condition? Do you enjoy working with your hands and sharing in the fellowship of other volunteers? Let us know if you can come to an upcoming work party. Or, you can decide at the last moment and just show up at the McDonalds by 8:50 a.m. You will be just as welcome. If you would like to get on our mailing list for trail maintenance updates, or you want to ask a question, contact us here.